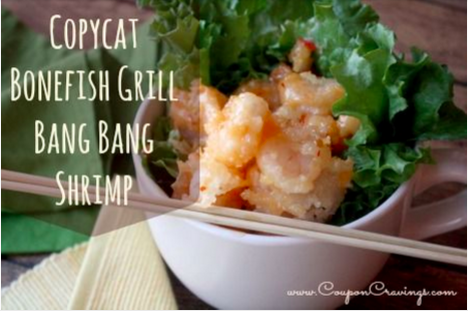 One of my husband and I’s favorite date night spots is Bonefish Grill and for starters we always get an order of the Bang Bang Shrimp. I had to come up with a copycat version of the recipe to make at home because it’s quite the trek away, and on date nights, well, that’s not always possible. 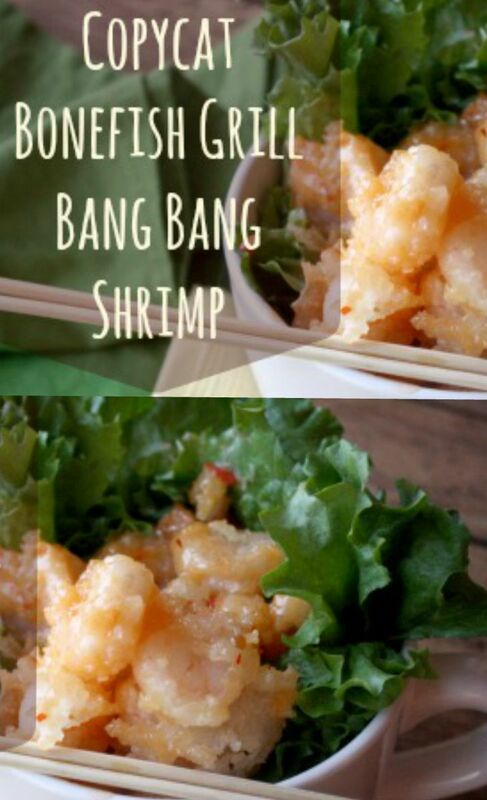 So, in looking through shrimp recipes and playing with sauce variations, I came up with this recipe that’s so easy. 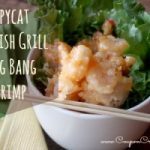 I use a fryer like this one to make my copycat bang bang shrimp and it’s a great one to have for this recipe, onion rings, chicken fingers and more. Mix mayonnaise, Thai sweet chili sauce and hot sauce atleast an hour ahead of time, but no more than a couple days. Once your shrimp tails are off and the shrimp is deveined (if using raw shrimp), place the shrimp into a shallow bowl filled with corn starch. Since corn starch is in powder form, it will stick to the damp shrimp and coat it with a thin layer. Fill your fryer (or pan filled 2 inches deep) with the oil of your choice. Place the shrimp in the pan/fryer. Once the shrimp fry enough to make the outside corn starch crispy (and the insides to safe eating temp - no more pink) place the shrimp on paper towels for a minute or two. Next, simply toss the shrimp in the chili sauce/mayo mixture. Serve atop lettuce or rice. You may use green onions, too.